As a Certainteed SELECT Shingle Master Applicator, we hold our crews to a higher standard, ensuring your roof is installed properly. 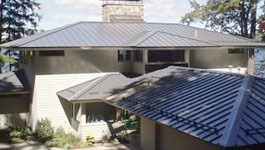 Norm’s Roofing installs metal roofing from several reputable manufacturers including ATAS, Fabral, and Metal Sales roofs. We are a licensed installer of Duro-Last – “The World’s Best Roof” and we also install and service rubber roofing (EPDM) and TPO. Cedar is a natural product that outlasts many asphalt roofs and provides the beauty and longevity expected on a custom built home. 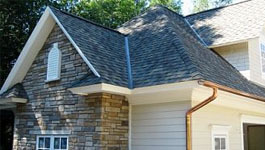 Norm’s Roofing & Siding is a family owned and operated company serving Northern Michigan since 1979. As your trusted contractor, we strive to provide a professional installation of new roofing and siding for home or business. Our personalized approach means that we complete every project with the care that we would put into our own home. 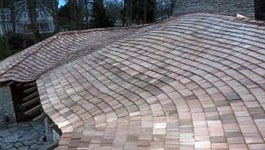 The staff at Norm’s Roofing & Siding is capable of handling projects of any scale and level of detail. 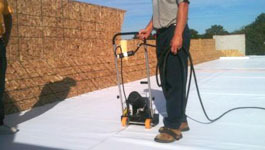 Team members are trained and manufacturer certified to properly install your roof. From asphalt shingle roof to a new Duro-last roof, Norm’s has the experience and know how to keep you dry.